Roll On, Oregon from Bicycle Transportation Alliance on Vimeo. Putting the shopping bags in the bike basket rather than in the car trunk could deliver big health benefits. What would you say to a cheap, easy way to stay slim, one that would help avoid serious illness and early death? How about if it made your neighbors healthier, too? It could be as simple as biking to the store. Researchers at the University of Wisconsin were wondering if getting people out of their cars just a wee bit would create measurable improvements in health. So they gathered up data sets on obesity, health effects of pollution, and air pollution caused by automobiles in 11 Midwestern cities, and did a mashup. They found that if the Midwesterners ran half of their short-distance errands by bike rather than by car, 1,100 deaths would be avoided each year, and $7 billion would be saved in reduced health-care costs. The trips were 2.5 miles one way; less than a 25-minute bike ride, the researchers figure. The benefits were based on a presumed reduction in air pollution particulates and ozone, which increase the risk of heart attack, strokes, and asthma. They also factored in the health benefits of increased exercise, and applied that to the 31 million people living in the Upper Midwest. The results were published in the journal Environmental Health Perspectives. "We were conservative," says Jonathan Patz, a physician and co-author of the study, who heads the Global Health Institute at the University of Wisconsin-Madison. The researchers figured that people in the Midwest would do errands by bike only in the best 124 days of weather each year. "It's only about 4 months worth of biking." Still, the benefits were enough to still reap health benefits, even though a larger chunk of the year might be spent on the couch, watching the Packers and the Blackhawks on TV. And people who weren't biking benefited, because they were breathing in less car-generated pollution, which contributes to asthma and cardiovascular problems. The study also didn't take into account the benefits of walking or taking mass transit for errands, which Patz says would also be good for one's health and reduce pollution. "Studies have shown that if you take mass transit, you'll get about 20 minutes of decent walking," he says. That's a topic for the next study, he adds. Patz himself is a devoted bike commuter and shopper in Madison, which he says is a bike-friendly city. But when he was working in Baltimore, he quickly realized that the city was not set up for safe bike commuting. "I tried it about three times, and realized this could be very hazardous to my health." Public policies that make cities safer for bicyclists and walkers would go a long way towards encouraging people to shift a bit of their daily two and fro away from cars, he adds. "There are so many win-wins. Better health, personal economics, and finally less greenhouse gases." Count him as a scientist who's testing his theories firsthand. When it comes to biking and health, Dr. Jonathan Patz practices what he preaches. No need to ditch your bike if gusty winds, a heat wave, lots of rain or even snow is in the forecast. Here are the cycling tips you need to navigate Mother Nature when she gets a little wild. Sooner or later, you'll have to ride in the rain. Employing these equipment tricks and bike-handling skills can go a long way toward making the experience bearable-and maybe even enjoyable. There's nothing more frustrating on a bike ride than fighting a persistent headwind. These five tips will help you keep your ground. Looking for deals on products? Check out Little Independent! Founded in 2010, Little Independent is a Chicago-based online marketplace for sale items at independent retail stores. Our mission is to be an advocate for independent retailers and to give savvy shoppers an easier way to find great independent stores and sale merchandise. My husband and I own a neighborhood bike shop in Chicago. Over the course of many months, we watched a bike helmet gather dust on the sale rack. We marked it down…then marked it down again. We showed it to customers we thought might like it. We put it out for the sidewalk sale. The helmet still wouldn’t sell. Sure, it was a bit over-sized and more expensive than others, but I knew someone out there would be happy to have it for a great price. I wished there was an easier way to reach that person. I found fellow storeowners have the same issue. Even those that have e-commerce websites sometimes find themselves with an item that lingers too long. The available listing websites where I could reach a wider audience had high fees and complicated set-up processes. There was no inexpensive and simple-to-use online marketplace just for independent stores like mine. As a shopper, I love stumbling upon the hidden neighborhood gems – both in Chicago and when I travel. These stores have so much charm, individuality and passion. I enjoy supporting them, but I also like the conveniences of shopping independent stores online. I decided to create Little Independent to celebrate the unique independent stores we all know and love. Don't let your bike ride interfere with your texting habits. 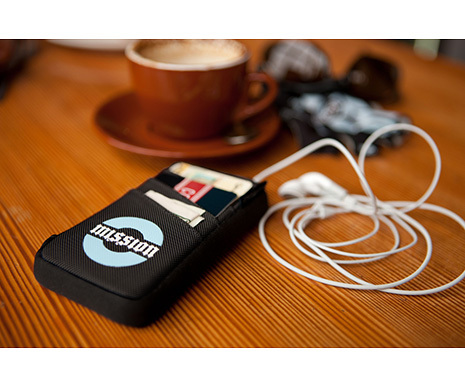 This streamlined wallet protects your smartphone while letting you access all of its functions, and it fits nicely right in the pocket of your bike jersey. Credit card slots let you bring your plastic for a pre- or post-ride burrito. Element protection for your smartphone- without compromising popular touchscreen functionality. Perfect fit in your cycling jersey pocket. Separate slots for your ID, cards and essentials while out on a ride. Inspired by our friends at Mission Cycling Club. Fine weave ballistic nylon in 840D. The city’s first bicycle shelter is open for business. Mayor Michael B. Coleman, City Council members, Ohio State University officials and others celebrated the opening this morning at a ceremony near campus. The new bicycle shelter, which will hold as many as 10 bicycles, is located at 1912 N. High St. The 29th Annual Dirty Dozen up Pittsburgh's 13 steepest hills will be held on Saturday, November 26th at 10am. Anticipating another large crowd this year, please show up as early as 8-9am to start registration early. 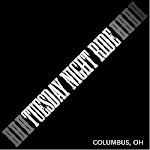 Meet at the Bud Harris Cycling Track (Where the ACA holds weekly criterium races in the summer) on Washington Blvd. I recommend a low gear of 39x27 for racers, and 34x28 or lower for recreational riders. at the bottom of each hill start. The two exceptions to this rule are before the 3rd hill (Berryhill), and between the last two hills where I blow the whistle early (miles before the last hill). A 5 place points (5, 4, 3, 2, & 1) system will be used at the top of each hill to determine overall podium positions. The women will ride amongst the men, and will be picked out from a pink ribbon around their handlebars. and please print out, sign, and fill info out on the Liability Waiver and send to the address above. using PayPal. and include the names, ages, gender, e-mail addresses, and number of DD's ridden (including this year) of the people you are registering. Print out the Liability Waiver (above), sign it, and bring it with you when you check in on event day. Entry fees are non-refundable if the DD is held on Saturday, November 26, 2011. You can also e-mail me, and I will send you a PayPal invoice. Thanksgiving Day (November 24th) is the pre-registration deadline. I have to receive it by the end of that day (midnight). Event day registration ($20 entry fee) will be between 8 - 10am. If you live nearby, please try to ride to the start, or carpool so we don't run out of parking spaces at the Oval. between the 10th and 11th hills. Instead, we will be climbing a connecter hill (no points) over Mt. Oliver. If you want to take photos or cheer on your riders, go way ahead of the pack, park legally somewhere, and wait for the riders to show up. Wait until the entire pack has passed by before you leave, and then perhaps hit every 3rd or 4th hill this way. Please feel free to call me at (412)421-3143 for more info. 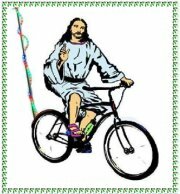 Columbus Festivus Ride is December 10th! Be sure to invite everyone awesome.